My visit to Bawah Reserve is one of the most incredible travel experiences I have ever had. Each moment of each day at Bawah brought me a sense of wonderment, exploration, serenity, and joy. I can’t shut up about it and I will tell anyone who will listen! I thought writing this particular trip report would be easy because I have so much to say, but I felt great pressure to get it just right. Please read on as I share more about my time at Bawah Reserve. I hope my passion for this special island will inspire you to seek your own incredible travel experiences! Please do not hesitate to reach out to me and the team if you want to learn more! The real highlight of Bawah is the beautiful natural environment. While it isn’t a perfect direct comparison, I find myself likening a stay at Bawah Reserve similarly to an African safari. Instead of game drives, your taking boat rides; instead of a walking safari, you’re snorkeling, and instead of sundowner gin & tonics, your enjoying sunset mojitos at Jules Verne bar. This is a “choose your own adventure” type of format and you can do as much or as little as you want. All of the facilities were built by hand using as much local materials as possible so the creation of the lodging would not harm the natural setting. This also gives all of the buildings a rustic, organic look – nothing looks out of place. There are so many options for how to spend your time whether it is enjoying the spa (1 complimentary treatment per person, per day included in your stay), hiking in the rain forest, kayaking, snorkeling, scuba diving, oceanfront yoga, beach picnics, stargazing etc. etc. My days quickly fell into a simple routine: sunrise kayaking (I even circumnavigated the island!) followed by a light breakfast and a spa treatment, relaxing and reading by the pool or on the beach, lunch with my feet in the sand at the Boat House, afternoon snorkeling, sunset cocktails and a leisurely dinner. I was perfectly content and wish every day could follow this routine! Dining is all-inclusive (alcohol is for purchase separately) and you have a nice variety of options considering the size of the property. Treetops is the main restaurant serving breakfast, lunch, and dinner in a beautiful rainforest treehouse setting. Jules Verne Bar is upstairs from Treetops and is perfect for sunset cocktails. The Boat House is next to the water activity center and has tables in the sand for casual lunches and BBQ dinners. Grouper bar next to the pool and boat jetty is the social hub where everyone gathers before and after their activities and tours. 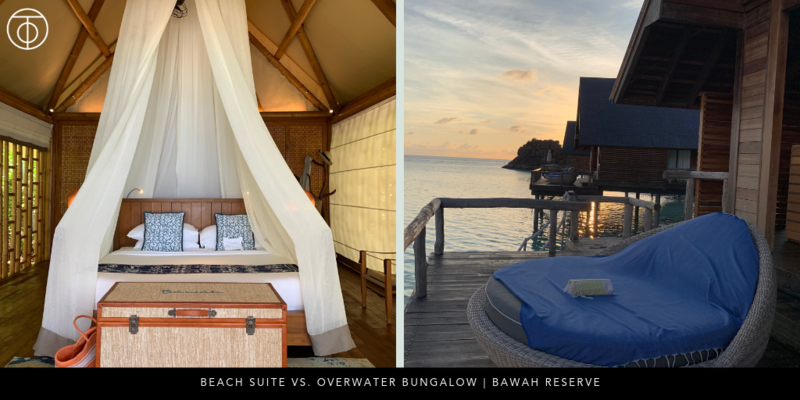 During your time at Bawah, you can choose to stay in an overwater bungalow, a beach suite, or a garden suite. While the overwater bungalows are tempting, they were not my favorite. I didn’t like the placement nor the floorpan of the bungalows. Due to tide fluctuations, they need to be placed on tall piers over the water and there is quite a drop from the bungalow to the water at low tide and the units are places very closely next to each other so there isn’t a lot of privacy on your deck and the bedrooms don’t get great air circulation. I say skip the bungalows and head straight for the beach suite which are locate right on the sand with your own little garden for sunbathing and mere steps from the ocean. These are tented suites on low platforms with canvas walls and roofs. Just because you are sleeping in a tent doesn’t mean you need to sacrifice on the creature comforts. During the day, they get a refreshing ocean breeze and the tents can be closed up and air conditioned at night for ultimate comfort. The bathrooms are outfitted with gorgeous hammered copper tubs and sinks as well as a separate shower (good to know: there is no air conditioning in the bathrooms). Bawah is not a resort, it is a community. The hotel component of Bawah Reserve supports the non-profit efforts of the Anambas Foundation which created programs like educating the local residents about sustainable farming and fishing practices, building modern waste management and recycling facilities, and rehabilitating local coral reefs. 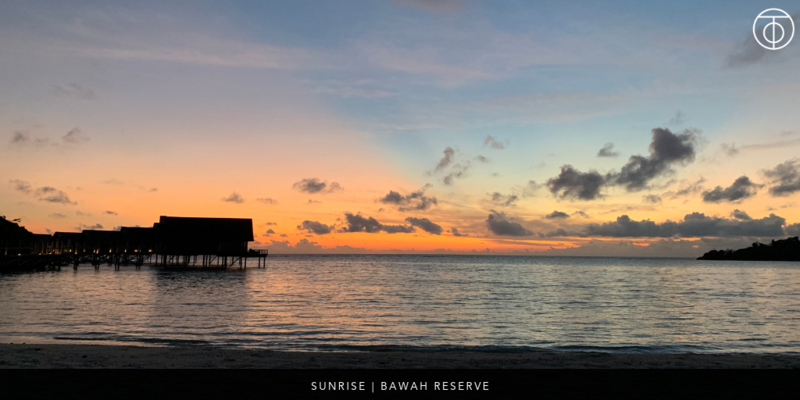 Guests at Bawah Reserve are welcome to volunteer and participate in these programs as much as they like, but you can also relax on the beach knowing that you are already doing a small part to contribute to the foundations efforts. Bawah Reserve is made up of 6 tiny islands within the Indonesian Anambas Islands in the Riau archipelago located in the South China Sea northeast of Singapore. Getting there is not easy, but the Bawah staff make it as seamless as possible and the journey is part of the experience! 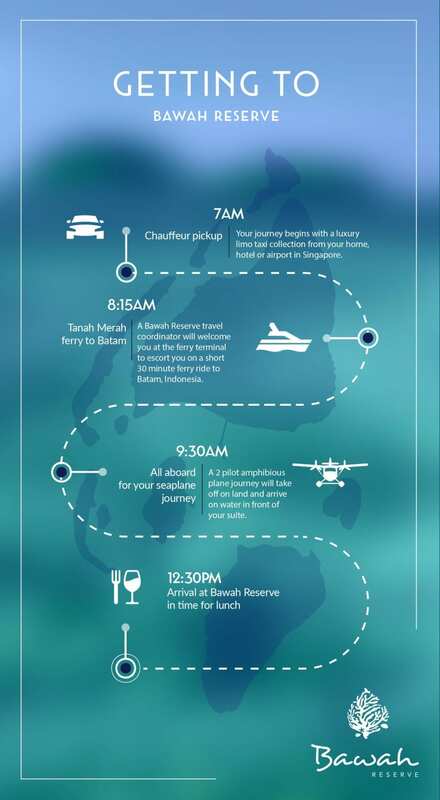 Is Bawah Reserve right for you? This is the trickiest question for me to answer because I am so much in love with Bawah and I recognize my bias. In my mind, everyone should go to Bawah! I know that’s not actually true; not everybody would love the accommodation style and not everybody is that comfortable being so close to nature and being out in the ocean all day long. 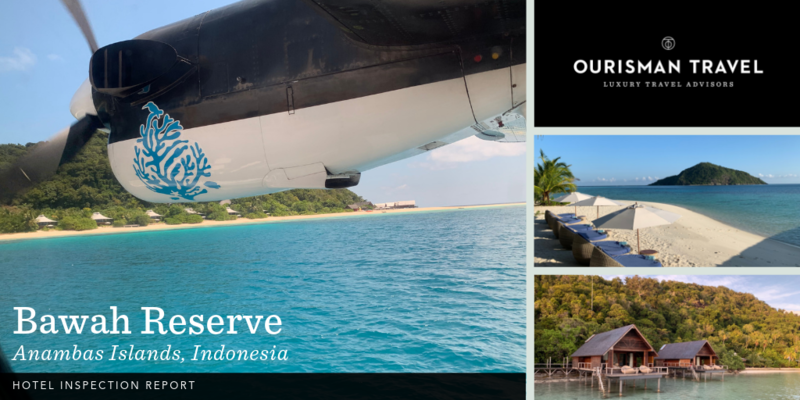 So, if I’m trying to be pragmatic, Bawah Reserve is an excellent choice for your next vacation if you are seeking a barefoot luxury experience jam packed with time in the ocean and on the beach. It is a good fit for active couples and well-traveled families. 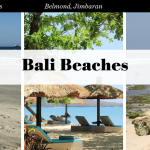 You also need a good amount of time to invest in a trip to Bawah to justify the long flights to Singapore and the cars, ferries, and seaplanes required to get you there. I am already scheming a return trip for myself, this time with my husband in tow. 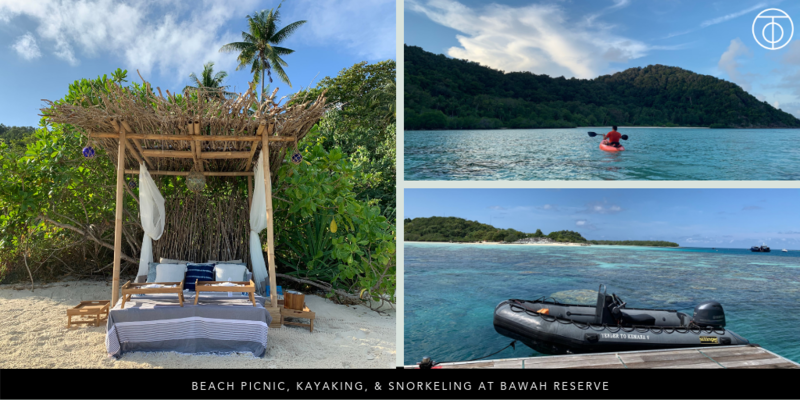 If these pictures and this description catch your eye, I encourage you to add Bawah Reserve to your bucket list. I want as many people as possible to have the same incredible experiences that I had! 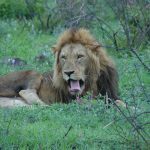 This entry was posted in Adventure Travel, Asia, Beaches, Hotel Reviews and tagged Adventure Travel, Beach vacation, hiking, hotel review, indonesia, Kayaking. Bookmark the permalink.